Swifta is one of the finest new generation drum and bass mc's on the scene and is known for his quick delivery, high energy and a different selection of lyrics and flows. From a very young age, Swifta had a passion for music and has always loved jungle Drum & Bass. At the age of 15 swifta first picked up a mic. Ever since then he has progressed in the industry performing on stages all around the UK and abroad, including Events such as Innovation, Breakin science & Random concept. Playing to large crowds in Barcelona, Amsterdam, Ibiza, Belgium & Germany. 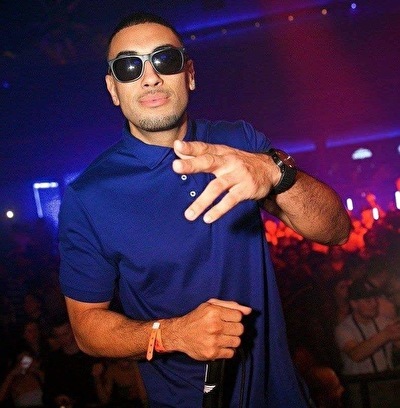 He has also appeared many times on drum and bass's leading radio stations Kool London and Rough tempo. Swifta is also the creator of the Levels clothing brand and has dropped various mixtapes and videos over the past few years. Keep a close out for this artist he is certainly a rising star within the music industry.